Stretch and Relaxation at Independence LIVE. Are you or a loved one looking for a great way to stay healthy, active, and present? Then look no further than Stretch and Relaxation at Independence LIVE! This weekly class was designed to help seniors add and maintain body flexibility by introducing them to gentle stretching routines and relaxation techniques that can be done anywhere. The stretches are appropriate for all levels and can be performed by standing or sitting on a chair. 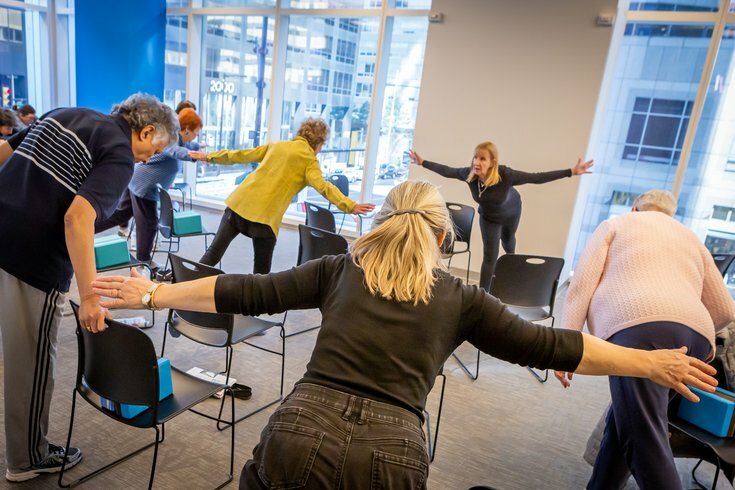 The next Stretch & Relaxation class takes place on Wednesday, April 24 at 9:30 a.m. and is free for members of an Independence Blue Cross health plan. Wednesday, April 24 from 9:30 – 10:15 a.m.